Being able to quickly identify and spell sight words is an important part of become a fluent reader and writer. It is important for our students to practice this skill on a regular basis so that they have a strong sight word foundation. 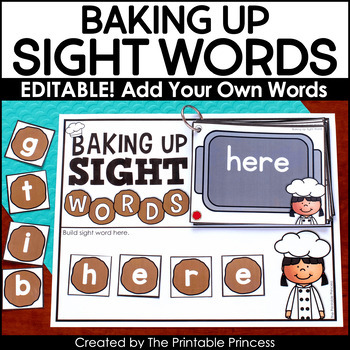 To make learning sight words fun, it's a great idea to keep things fun and fresh by having many different activities to help them practice. 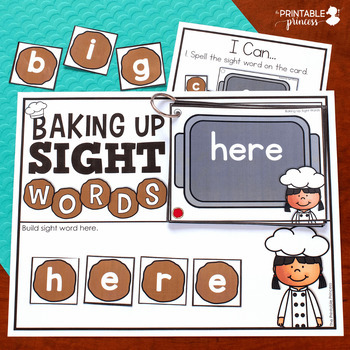 Baking Up Sight Words is a fun way to practice sight words. Add an apron and a spatula for an extra festive touch! This activity makes for an engaging literacy center, fast finisher activity, or morning work task. Plus it's editable, so you can customize it to your classroom sight words list. The sight words in this packet are broken down into three different lists. (Download the preview to read the words included in each of the lists.) The lists and cards are color-coded to help keep you organized. 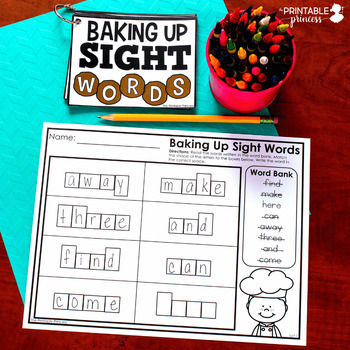 This is an easy to prep activity: just print, cut, and laminate the sight word cards. You can have students use the cookie shaped letters included or use magnetic letters. Three "I Can" pages are included to promote independent workers. An optional student work mat is also included. This work mat comes in handy for students who need a defined work space. Students place the word card on the mat and spell the word in the area provided. Optional recording sheets are included, however, you can use this activity without the recording sheets. Also included are six no prep practice pages. These make great activities for fast finishers, morning work, homework, or extra practice. 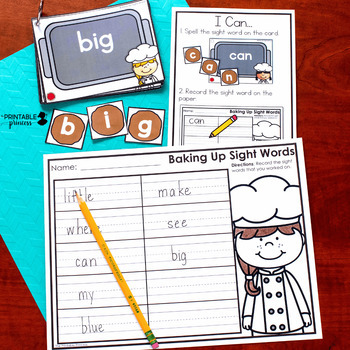 Please Note: This file includes editable pages so that you can add your own sight words. You will need to open the file in Adobe to edit. You will be unable to edit when viewing the file in your web browser.